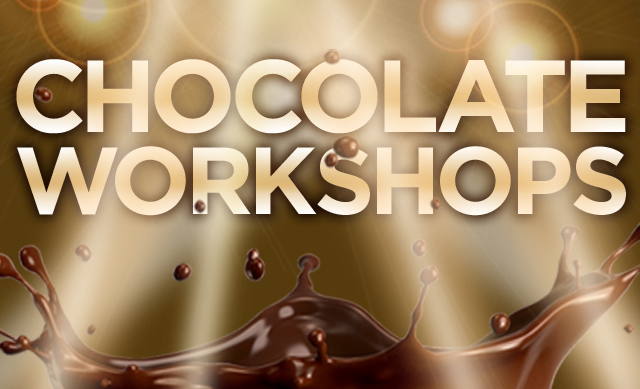 Come and get your hands deliciously dirty at our Dallas Chocolate Workshops. True chocolate enthusiasts will learn chocolate making skills in a series of classes. Come to one or all three! Students will not only learn from the experts, but will take home their finished work. Who knows, maybe you could be the next great Chocolatier from Dallas. Space is limited to register today. Bean-to-bar chocolate makers take great cacao beans and craft them into fine chocolate bars. After completing this class you’ll be one of them. Suitable for beginners or experts you’ll be guided by professional craft chocolate makers throughout the entire process. Instructors include Troy Easton (Sublime), Ben Rasmussen (Potomac Chocolate), and Bob Williamson (SRSLY Chocolate). One of the most versatile mixes of chocolate to have at your disposal in the kitchen. Ganache can be used as a glaze, icing, sauce, or filling for pastries, bonbons and more. Students in the class will learn how to make a variety of ganache blends in addition to what to watch out for and even how to fix a broken ganache. Students will have hands on making the ganache and also making bonbons, tarts and more! Instructor Yeli Marshall of Yelibelly chocolate and the students will experiment with flavors and everyone will leave with a tasty treat! Learn to taste and appreciate chocolate like a pro. Expert chocolate taster Madame Cocoa (Adrienne Newman) will take her experience judging prestigious chocolate competitions and guide you through tastings of fine chocolate. You’ll learn how roasting profiles, bean origin, and chocolate maker preferences shape the taste of bean-to-bar chocolate. Fun for anyone who enjoys tasting chocolate and wants to learn more about it. Classes are $60 for an individual workshop or $150 for all 3. Price includes hands on instruction and all necessary supplies. Students will take home their finished products.